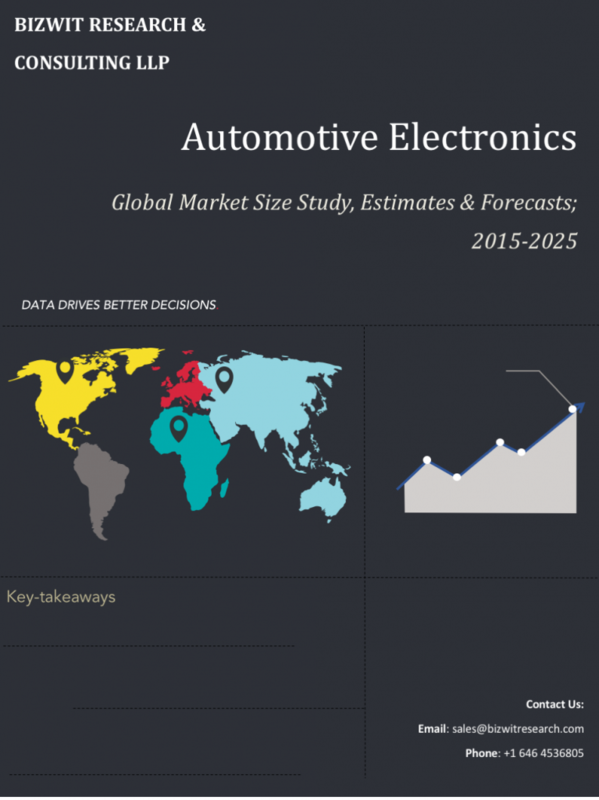 Automotive Electronics Industry Growth Prospects - Bizwit Research & Co. Automotive electronics are one of the crucial and most dynamic aspects of the global automotive industry. It includes a driving system, charging system, power management, security system, cruise control etc. The industry is actively contributing to road safety by developing technologies to reduce the likelihood or impact of accidents. For instance, reactive airbag and stability control systems are some of the examples of newer technologies which are expected to witness higher growth in the coming years. Bizwit Research has identified some of the most trending titles in the automotive electronics segment which are mentioned under this section.